If you’re looking for some extra motivation to hit the gym, having a great set of workout clothes can help. 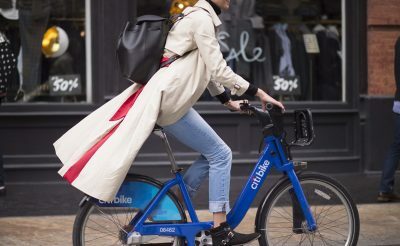 So to ensure you look your best while you break a sweat, we’ve rounded up the most stylish activewear that make you feel like a million bucks no matter how hard you’re pushing it. 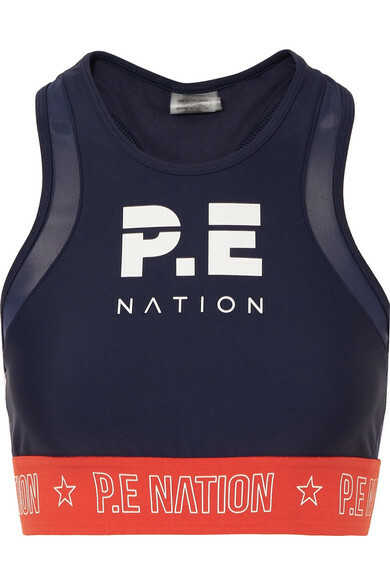 Loved by everyone from Kayla Itsines to Kylie Jenner, P.E Nation’s Figure Four sports bra is made from soft and stretchy navy fabric which is trimmed with breathable mesh for ventilation. 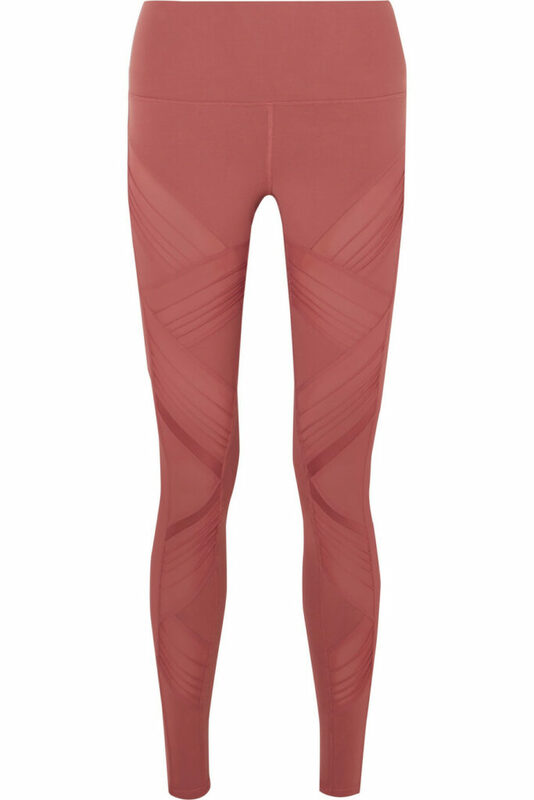 Match yours with their Ko paneled stretch leggings. These three-quarter leggings from The Upside are made from super soft four-way stretch fabric with moisture-wicking and quick drying properties which also offer smoothing support and a buttery soft feel. The paneled colourway and stripes down the side create an extra sport-luxe vibe while the elastic drawcord allows for a perfect fit. 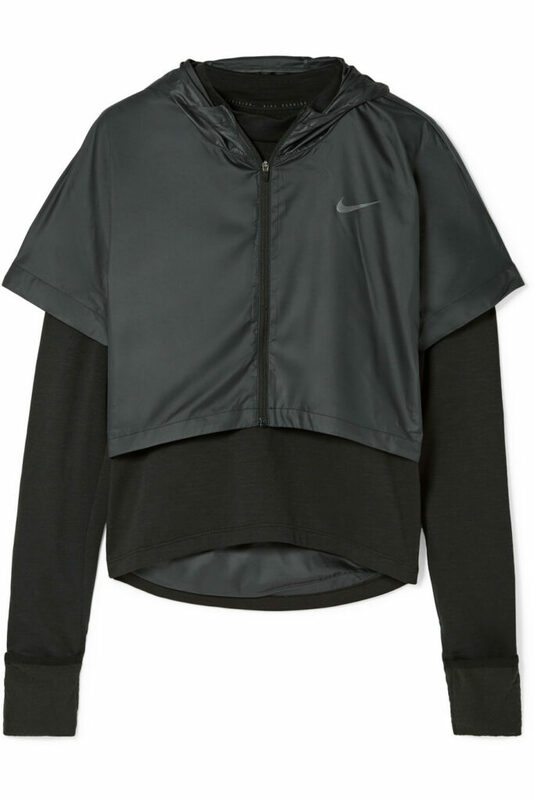 Perfect for running outdoors in cooler temperatures, this piece is cut from Nike’s Therma Element stretch-jersey fabric and has extended thumbhole cuffs to keep the sleeves from riding up. The water-resistant shell exterior has a hood for added protection and can be detached and stowed in the zipped pocket on the back. 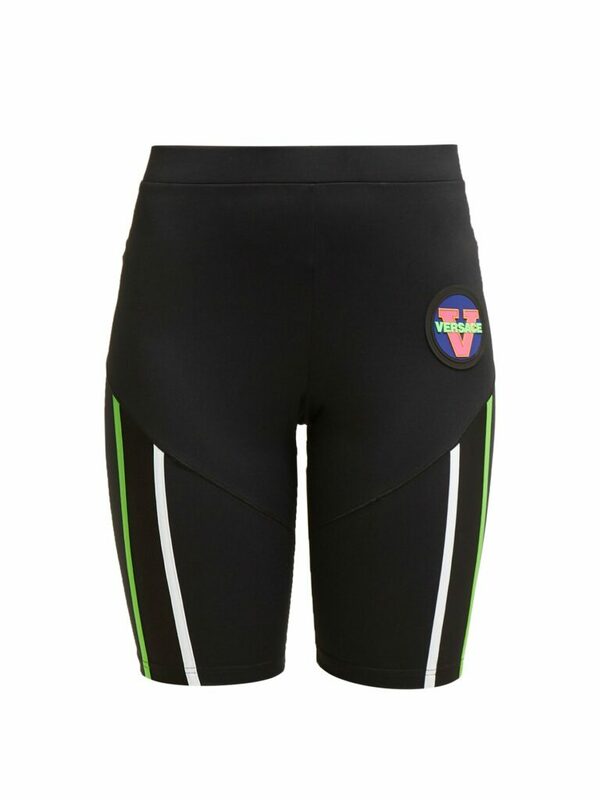 Offering an elevated approach to performance wear, Versace’s cycling shorts are crafted in Italy from a technical stretch-fabric to flatteringly hug the body. They have race-inspired stripes down either side and are finished with a logo-embossed rubber patch at the thigh. 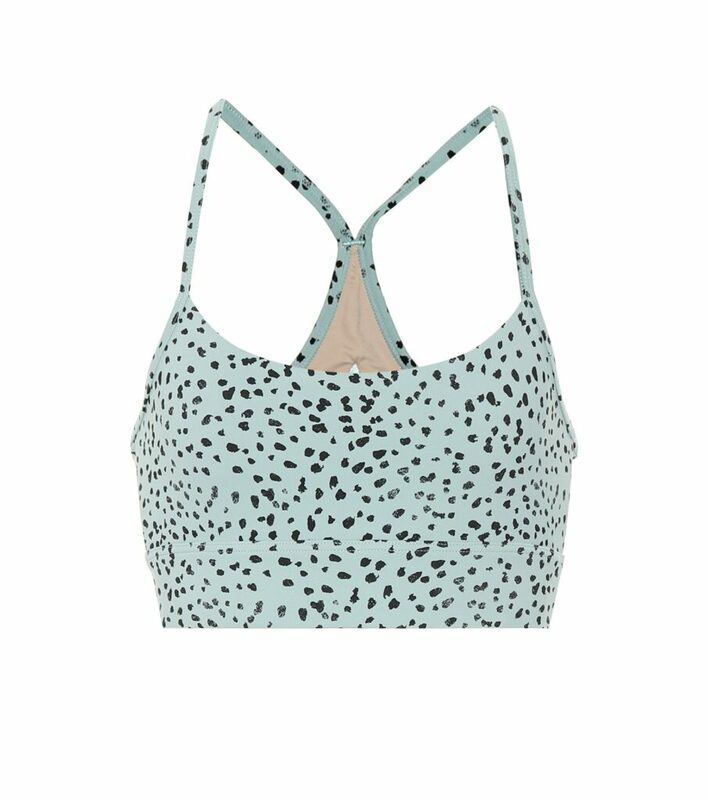 This sports bra from Varley was designed with medium-intensity exercise in mind, and its racerback silhouette is finished with a supportive wide band under the bust, along with breathable mesh trim at the back. With a playful speckled print all-over, it’s as stylish as it is practical. 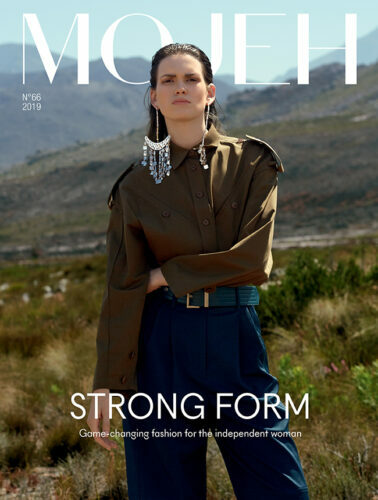 Alo Yoga designs with a focus on movement and mindfulness. These Moto leggings are made from four-way stretch fabric enhanced with moisture-wicking antimicrobial technology. They’re detailed with quilt-style stitching, panels of breathable mesh and a supportive five inch waistband. Nike master trainer Kirsty Godso on what it takes to train like a Victoria’s Secret model.